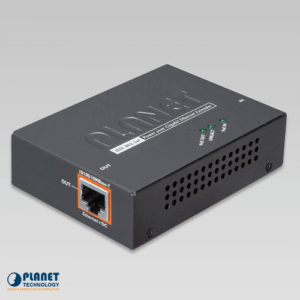 The GSW-1222VUP is part of PLANET’s 60W Ultra PoE series; models such as a 60W Ultra PoE Injector/Splitter, 60W Ultra PoE Extender and 60W Ultra PoE Injector Hub complete the series. The GSW-1222VUP is an 8-port 10/100/1000T Ultra PoE + 2-port 10/100/1000T + 2-port 1000X SFP Gigabit Ethernet Switch with a total of 380 watts of PoE budget. 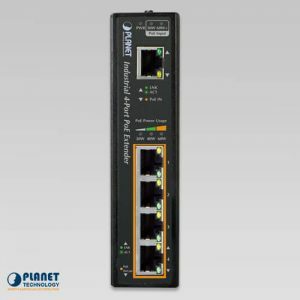 This unit stands out from other switches because of its LCD display for PoE work status monitoring. 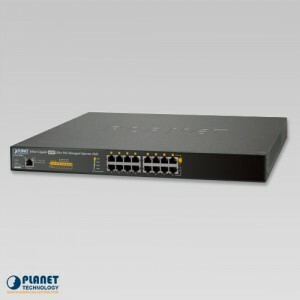 Each PoE port can deliver up to 60-watt power over Cat.5e/6 Ethernet UTP cables which allows data and power to transmit simultaneously to a remote 60W or standard 802.3at compatible powered device (PD). 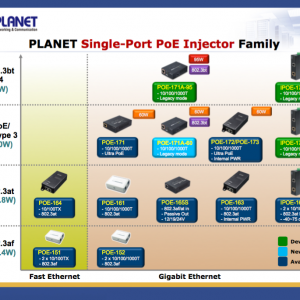 This becomes convenient for different kinds of PoE applications. 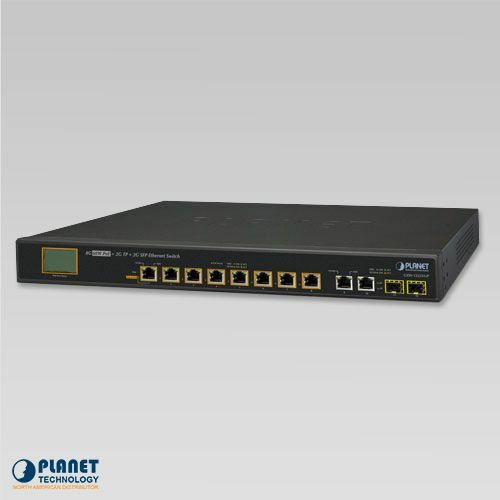 The GSW-1222VUP Ultra PoE solution adopts the IEEE 802.3at PoE standard. 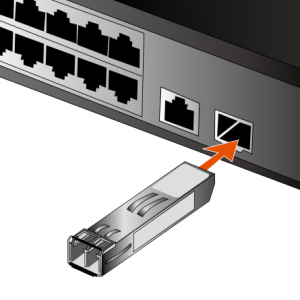 Instead of delivering power over 2-pair twisted UTP – be it end-span (Pins 1, 2, 3 and 6) or mid-span (Pins 4, 5, 7 and 8), it provides the capability to source up to 60 watts of power by using all four pairs of standard Cat.5e/6 Ethernet cabling. 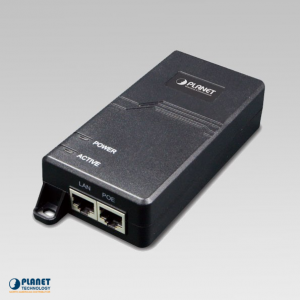 In the new 4-pair system, the GSW-1222VUP is able to deliver 60watts of power per port to each remote PoE compliant powered device. The GSW-1222VUP’s unique LCD display makes PoE monitoring easy than ever. 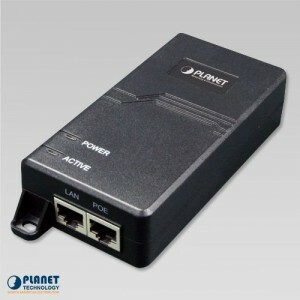 This ideal Plug and Watch Power over Ethernet solution provides quick installation and immediate troubleshooting with no needed PC installation. 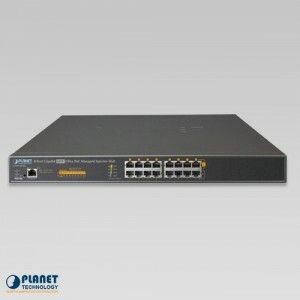 The LCD monitor of the GSW-1222VUP clearly shows the PoE loading of each port, total PoE power usage and system status (overload, low voltage, over voltage and high temperature). With its brand-new LCD monitor, users are able to obtain detailed information about real-time PoE working condition of the GSW-1222VUP directly. Also the Power Budget Control function helps to prevent power budget overloading. 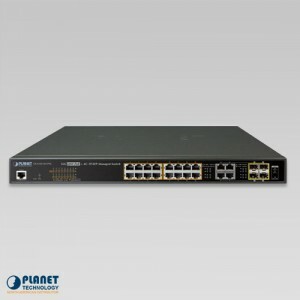 The GSW-1222VUP provides two extra Gigabit TP ports and two extra Gigabit SFP interfaces. 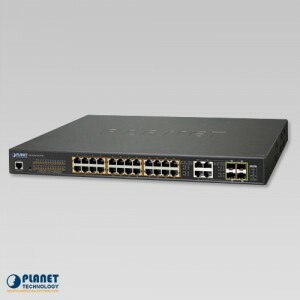 The two Gigabit TP ports support 10/100/1000BASE-T RJ45 copper for surveillance network devices such as NVR, video streaming server and NAS to facilitate surveillance management. 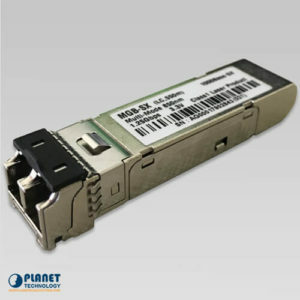 Or through two Gigabit speed fiber SFP slots, the 1000BASE-SX/LX SFP (Small Form-factor Pluggable) fiber transceiver is inserted to be uplinked to a backbone switch and monitoring center over a long distance. 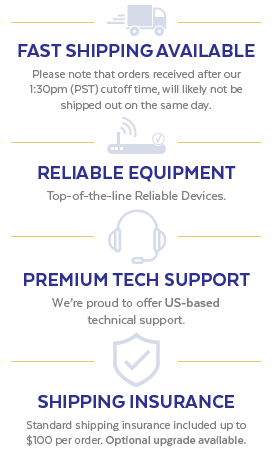 The distance can be extended from 550m to 2km (multi-mode fiber), or even going up to 10/20/30/40/50/60/70/120km (single-mode fiber or WDM fiber). 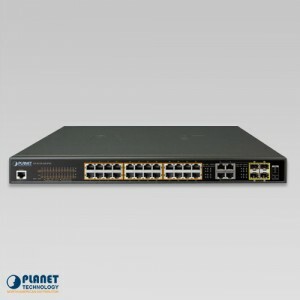 They are well suited for applications within the enterprise data centers and distributions. The GSW-1222VUP features a low noise and an effective ventilation system. It supports the smart fan technology that automatically activates 3 fans once the PoE budget reaches 126 watts. The smart fan technology maintains the temperature of the GSW-1222VUP for optimal power output capability. 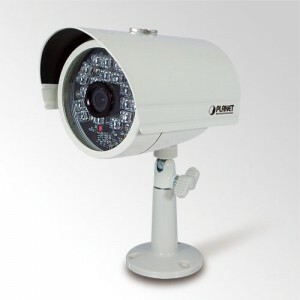 The GSW-1222VUP is able to operate reliably, stably and quietly in any environment without affecting its performance. The GSW-1222VUP provides contact discharge of ±4KV DC and air discharge of ±6KV DC for Ethernet ESD protection. It also supports ±4KV surge immunity to improve product stability and protects users’ networks from devastating ESD attacks, making sure the flow of operation does not fluctuate. 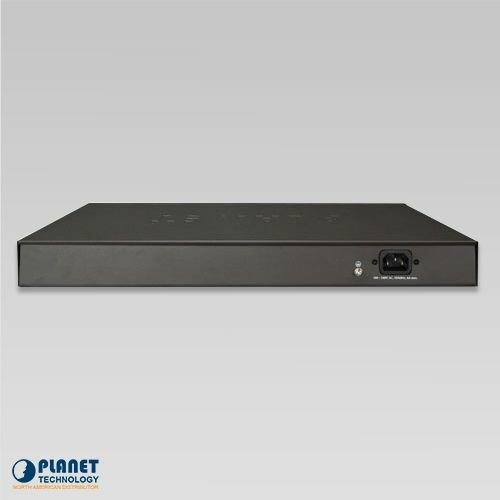 The GSW-1222VUP is able to reduce the need of extension cables and electrical outlets in unreachable places by transmitting data and PoE power over a cable. 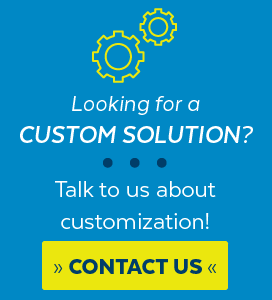 It helps to lower the installation costs and simplify the installation effort. 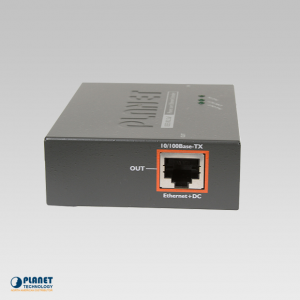 All RJ45 copper interfaces of the GSW-1222VUP support 10/100/1000Mbps auto-negotiation for optimal speed detection through RJ45 Category 6 or 5e cable. 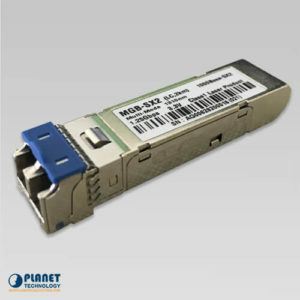 It also supports standard auto-MDI/MDI-X that can detect the type of connection to any Ethernet device without requiring special straight-through or crossover cables. Power Requirements 100~240V AC, 50/60Hz, 6A max. 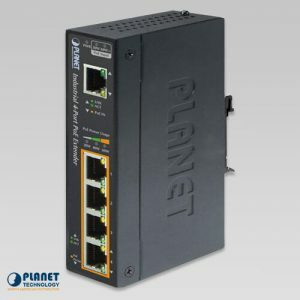 PLANET’s POE-172 Ultra Power over Ethernet Injector provides a maximum of 60-watts of power and high-speed Ethernet data connection anywhere in your network infrastructure.